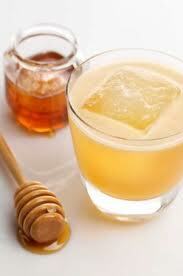 Spirits sweetened with honey…it’s the Bees Knees! Honeybees must be working overtime to keep up with demand from bartenders. From cocktail classics to playful modern libations, honey is showing up on ever more San Francisco cocktail lists. For his version of the old-time cocktail Bee’s Knees, Slanted Door bar manager Erik Adkins uses honey syrup made by combining equal parts honey and hot water, to sweeten the sting of organic lemon juice and gin. Adkins uses a wildflower honey from the Willamette Valley to make the syrup, but any honey will do. “Honey’s awesome,” says Adkins, who likes using it in cocktails because of its unique and varied flavor profile, versatility and long shelf life.